With all the emotional power of The Kite Runner, this is the very first true life account of growing up in Afghanistan, by a writer who still lives in Kabul. For the young Qais Akbar Omar, Kabul was a city of gardens where he flew kites from his grandfather's roof with his cousin Wakeel while their parents, uncles, and aunts drank tea around a cloth spread in the grass. It was a time of telling stories, reciting poetry, selling carpets, and arranging marriages.Then civil war exploded. Their neighborhood found itself on the front line of a conflict that grew more savage by the day. With rockets falling around them, Omar's family fled, leaving behind everything they owned to take shelter in an old fortonly a few miles distant and yet a world away from the gunfire. As the violence escalated, Omar's father decided he must take his children out of the country to safety. On their perilous journey, they camped in caves behind the colossal Buddha statues in Bamyan, and took refuge with nomad cousins, herding their camels and sheep. While his father desperately sought smugglers to take them over the border, Omar grew up on the road, and met a deaf-mute carpet weaver who would show him his life's purpose. Later, as the Mujahedin war devolved into Taliban madness, Omar learned about quiet resistance. He survived a brutal and arbitrary imprisonment, and, at eighteen, opened a secret carpet factory to provide work for neighborhood girls, who were forbidden to go to school or even to leave their homes. As they tied knots at their looms, Omar's parents taught them literature and science. In this stunning coming-of-age memoir, Omar recounts terrifyingly narrow escapes and absurdist adventures, as well as moments of intense joy and beauty. Infected with folktales, steeped in poetry, A Fort of Nine Towers is a life-affirming triumph. In the time before the fighting, before the rockets, before the warlords and their false promises, before the sudden disappearance of so many people we knew to graves or foreign lands, before the Taliban and their madness, before the smell of death hung daily in the air and the ground was soaked in blood, we lived well. We have no photos. It was too dangerous to keep them during the time of the Taliban, so we destroyed them. But the images of our lives before all hope fled Afghanistan remain sharp and clear. My mother is wearing her short skirt, sitting in her office in a bank, tending to a long line of customers. She is respected for her knowledge of banking, and her ability to solve people's problems. A Fort of Nine Towers provides valuable insight into Afghani life and recent history from a native's perspective. I really felt I learned something from the author's account, and I think anyone with an interest in what has been going on in Afghanistan over the past 20 years, would do well to pick up a copy. (Reviewed by Kim Kovacs). Mind-boggling . . . a riveting story of war as seen through a child’s eyes and summoned from an adult’s memory. If you read only one book this summer, make it this one. It’s an astonishing tale of religious barbarians and human hope, of what happened to Kabul before and after the Taliban came to power. Beautifully written, with the pacing and suspense of a novel ... his richly detailed account of growing up in Afghanistan under the warlords and then the Taliban is deeply fulfilling, remarkable not least because he lived to tell the tale. “A Fort of Nine Towers captures a time and a place unknown to most Americans . . . graphic, certainly, but it’s also sweet and funny and inspiring. 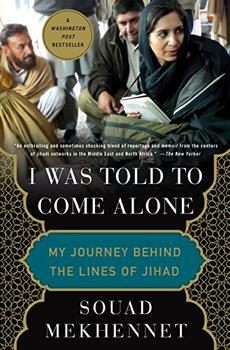 Qais Akbar Omar’s memoir sets out . . . to show us the ordinary Afghanistan as well as the horror . . . Yet for all the horrors he has seen and the loved ones he has lost, there is no desire for vengeance in this account, only a profound stoicism. Foreigners rarely penetrate the rich cultural depths of Afghanistan. Here at last is a powerful, haunting memoir that does justice to its tough, tenacious and astonishingly good-humoured people. The best thing about it . . . is that it is a book about Afghanistan written by an Afghan. Omar’s beautifully written book is an affecting account of survival in the midst of brutality and fear, and a testament to the importance of family and friendships in a place where neighbours turned on neighbours. Omar's tale strains credulity, but his prose is deliciously forthright, extravagant, somewhat mischievous, and very Afghan in its sense of long-suffering endurance and also reconciliation. Starred Review. As lyrical as it is haunting, this mesmerizing, not-to-be-missed debut memoir is also a loving evocation of a misunderstood land and people... A gorgeously rich tapestry of an amazing life and culture. This book is essential reading for anyone eager to learn what more than three decades of war have cost the Afghan people. At a time when Afghanistan threatens to recede into a bloody and debased footnote, Qais Akbar Omar reminds us of the honor and courage of his people. A remarkable feat of memory and imagination. 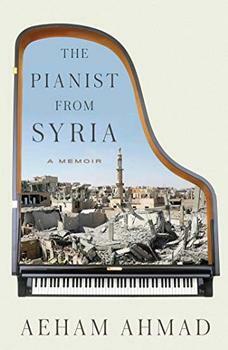 In this stark, unflinching memoir, Qais Akbar Omar illuminates the beauty and tragedy of a country pushed to the brink by war. A Fort of Nine Towers gives voice to the unbreakable spirit of the Afghan people. Westerners often hear news reports of groups known as the Mujahideen, the Taliban, and Al-Qaeda. It can be easy to confuse or merge them in one's thinking, but they are of course separate organizations with differing histories, goals and characteristics. "I was told to come alone. I was not to carry any identification, and would have to leave my cell phone, audio recorder, watch, and purse at my hotel..."